Beaver Valley Ski Club appeals to families who are seeking to belong to a relaxed and welcoming club where they can spend quality time together and foster new friendships. 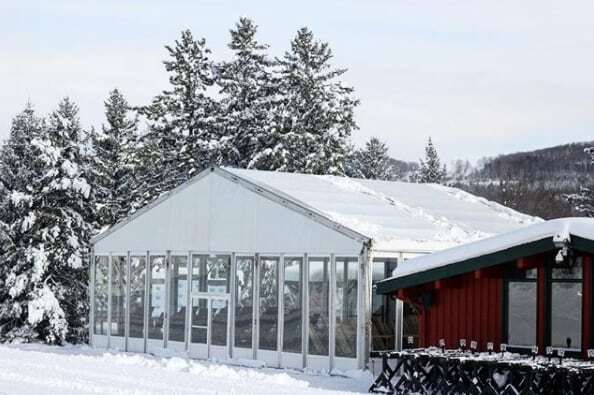 It is this atmosphere that has made it one of the top ski clubs in the area, and required them to reach out to Regal Tent Productions to create additional heated outdoor space for their patrons! 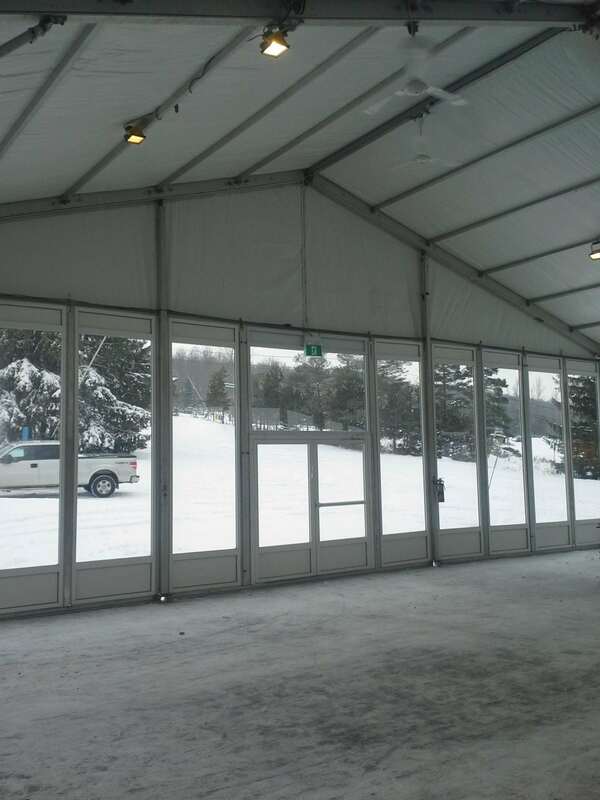 Over the past four ski seasons, Regal Tent Productions has installed a 15m x 10m x 4m Clearspan tent on site at Beaver Valley that sits on an existing deck and adjoins their permanent clubhouse. 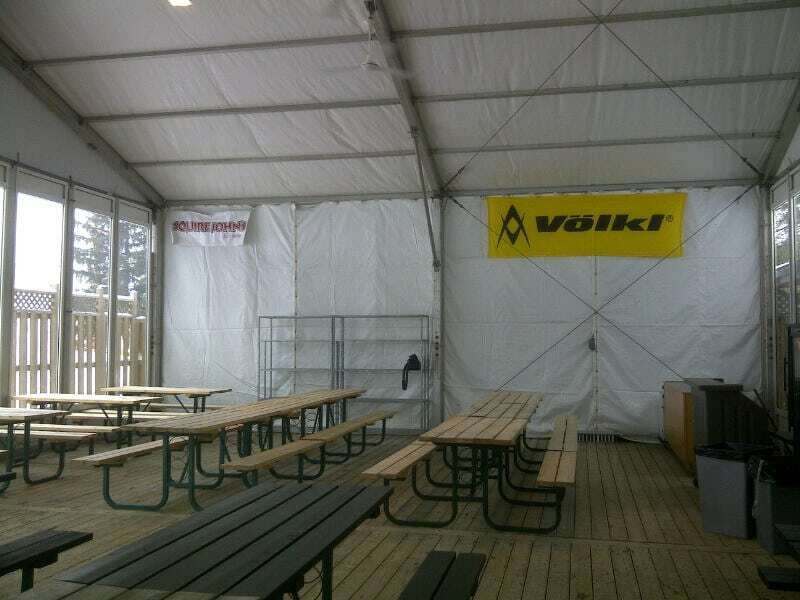 The walls of the tent are built with nine 4m high glass bays, which allows loads of natural light into the tent, and provides beautiful views of the surrounding ski runs. 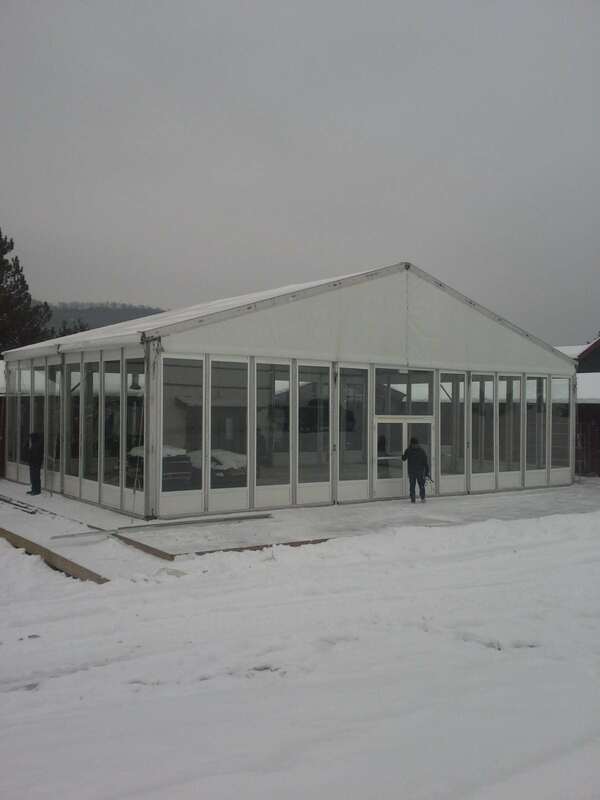 It adjoins the main building with a custom vinyl gutter that keeps the tent weather protected. We also provide interior lighting, propane heaters to keep the tent climate-controlled, and ceiling fans to circulate the warm air!